Bobby Mahoney and the Seventh Son is made up of Bobby Mahoney (guitar/vocals), James McIntosh (drums), Andrew Saul (guitar/backing vocals), and Jon Chang-Soon (bass/backing vocals). 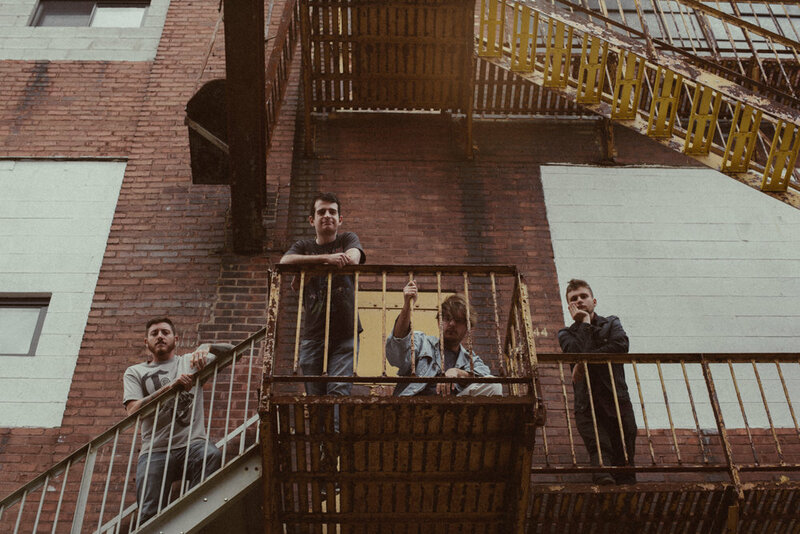 The New Jersey band recently released their self-titled EP and opened up for Bon Jovi at the Prudential Center. We sat down for an interview with the band to learn more about their music, inspiration and more! When did you guys first come together to make the band? "I started the band back in 2011 with Jon Alba and Drew Agey while I was in high school. I’m the only remaining original member, but James joining in 2014 was a restart for the band. Andrew joined in 2015, and Jon is just starting in 2018. It was been a work in progress finding the right line-up, but we have great players and we have all become very tight playing together." "Bruce Springsteen, AC/DC, Against Me!, The Gaslight Anthem, The Menzingers, The Rolling Stones, Green Day, Neil Young, Beach Slang, Jesse Malin, Motorhead." You recently released your self-titled album – what was the process like creating it? "We had an awesome experience tracking and mixing at North End Recording in Clifton, NJ with Frank Marra. We tracked for 3 days and stayed at a nearby hotel. It was the most organic studio experience we have had thus far. We wanted to capture the band’s live energy, while getting good, clear sounds. We mastered the record at Lakehouse Music in Asbury Park with Tim Panella, who also did a fantastic job." How would you describe the record in three words? Where do you find most inspiration when creating music? "I’ll take lyric ideas from almost anywhere-- everyday conversations, street art, movies, books. I constantly take notes in my book or phone notes. I get musical ideas from just sitting down and playing guitar and just improvising until I hit something I like. Sometimes it's there and sometimes it isn’t." Of the songs on the album, which are you most proud of? “'Called it Quits' and 'Roaring Twenties' are probably my favorites on the record, but I am really proud of all the songs. I think they showcase our progress as a band, in musicianship and songwriting." What do you love most about performing live? "The energy of playing to an audience and making people forget about their problems for even a second. There is definitely a healing power in rock ‘n’ roll, that I’ve experienced first hand, and I’d love to do the same for others." "Lately our shows have been opening up with 'Empty Passenger Seats' into 'Called it Quits' into 'Shot in the Dark' and those 3 pack a punch, so probably those. 'Roaring Twenties' is special though, and we have had fun with '.38 Special' too recently." Is there anything else we can expect from you in the near future? "More shows. We are planning on playing more out of state shows this fall, so stay tuned for that! We play in NJ and NYC pretty regularly, so we will keep that up as well."